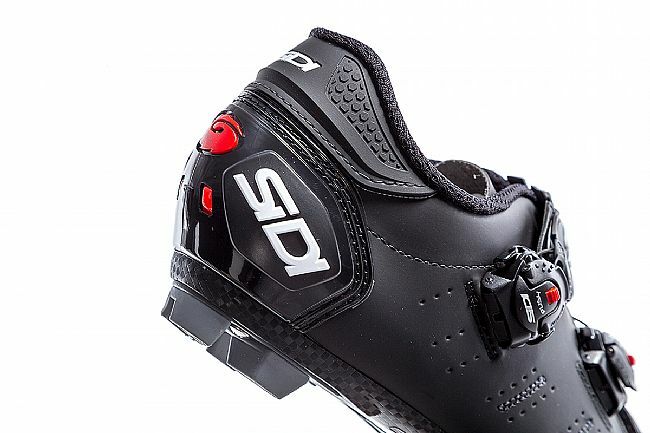 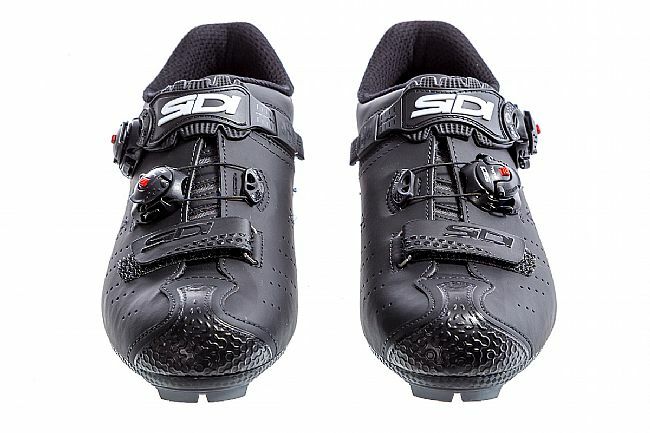 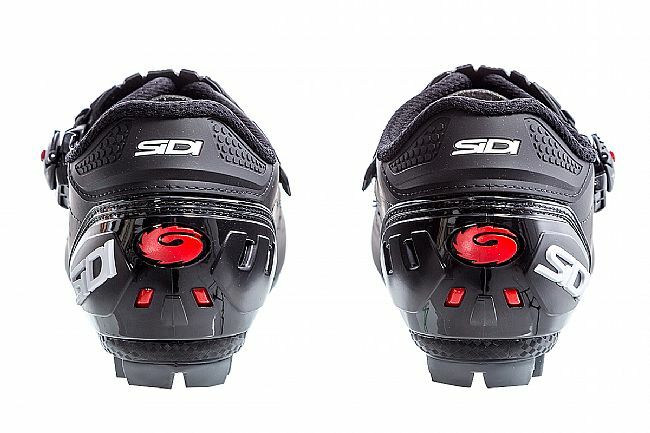 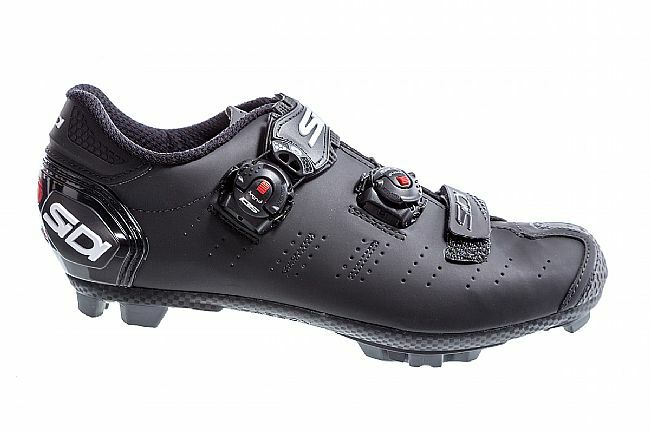 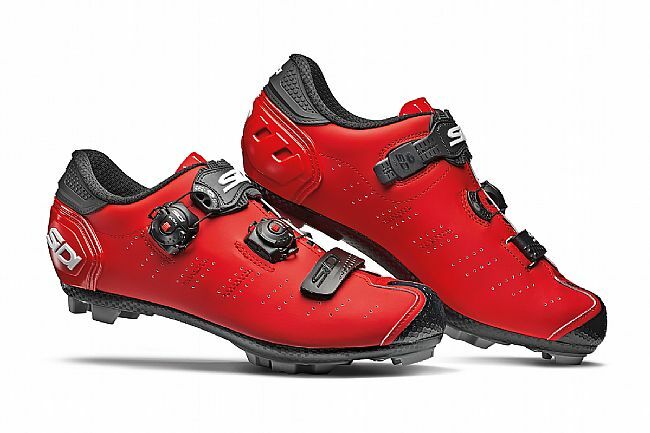 Sidi's Dragon 5 MTB Shoe features a carbon composite outsole with toe-spike compatible SRS treads, a vented heel cup, a small and flexible Anatomically curved Soft Instep Closure System 4 strap, and a vented tongue. 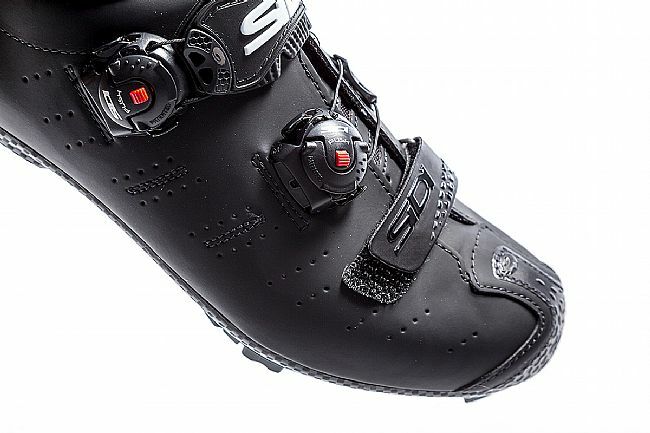 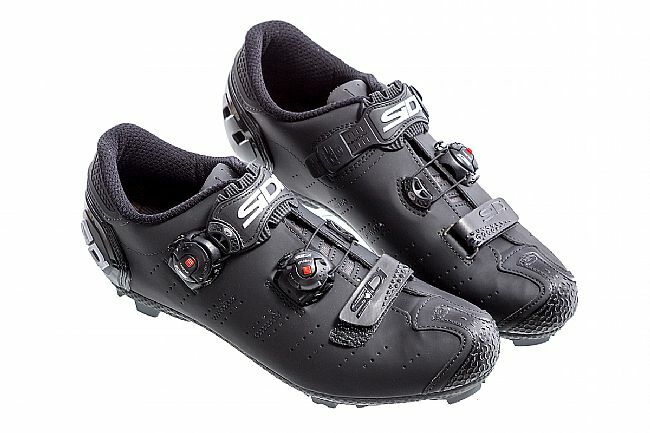 They're also equipped with Sidi's unique cable retention design which consists of a flip-up twisting lever, and a simple push-button release for easy and secure retention. 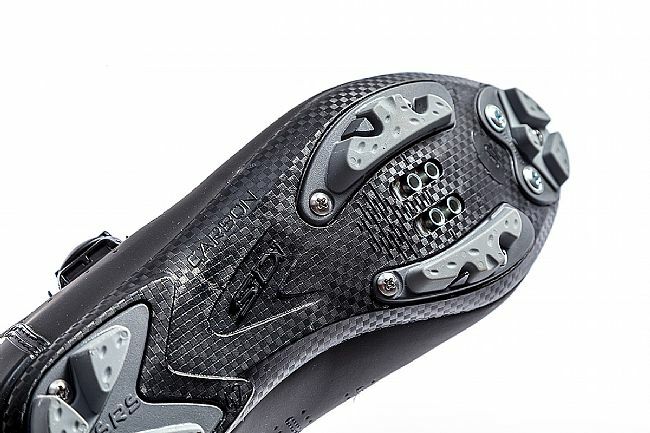 Carbon composite MTB SRS sole. 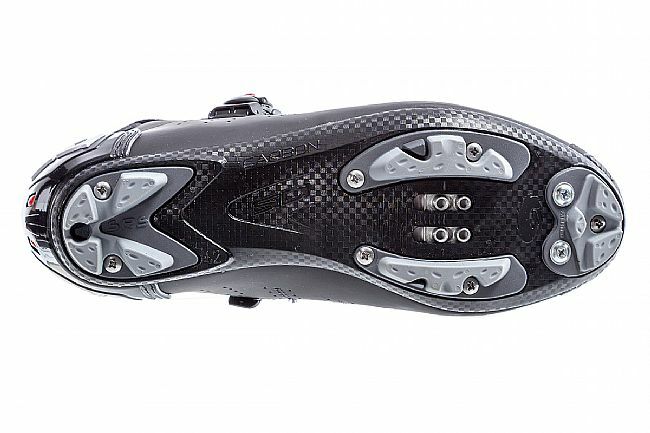 Eco-friendly, hyrdophobic Microfiber Tech Pro Matt upper. 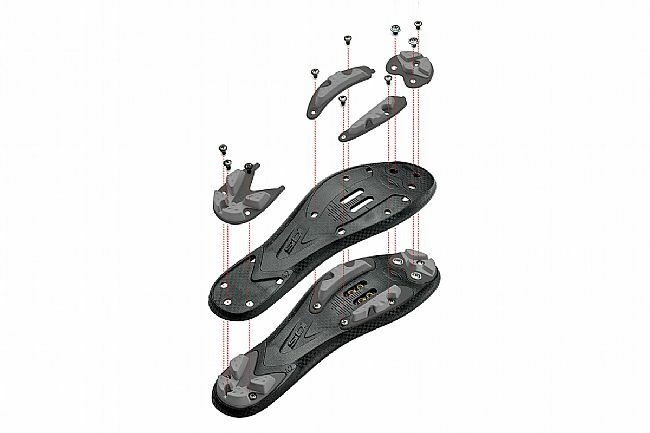 Anatomically curved Soft Instep Closure System 4 strap.